Justin Jake Rosete (green jersey) leads the University of the Visayas Baby Lancers with 19 points. 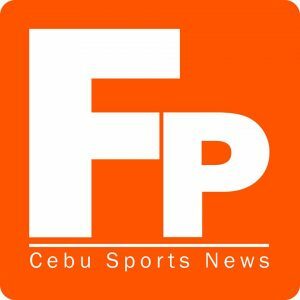 The University of San Jose Recoletos (USJR) Jaguars posted their second straight win in the Cebu Schools Athletic Foundation Inc. (CESAFI) Men’s Basketball Tournament with a 103-88 stomping of the Southwestern University (SWU)-Phinma Cobras Saturday, August 12, at the New Cebu Coliseum. The win allowed the Jaguars to share the top of the leaderboard with the University of San Carlos (USC) Warriors as they now have the same 2-0 record. Also sharing the top spot in the High School division are University of the Visayas (UV) Baby Lancers and the Sacred Heart School-Ateneo de Cebu (SHS-AdC) Magis Eagles after also winning their second games against separate opponents. The UV Baby Lancers speared the Don Bosco Technology Center (DBTC) Greywolves, 88-69, while the SHS-AdC Magis Eagles clawed the Cebu Institute of Technology University (CITU) Wildkittens, 78-55. The third game in the junior division saw the Cebu Eastern College (CEC) Dragons get their campaign on the right track with an 87-77 win over the University of Southern Philippines Foundation (USPF) Baby Panthers. The Jaguars handed the Cobras their second straight loss in the tournament. Playing an instrumental role in the Jaguars rout of the Cobras was Jaybie Mantilla who scored a total of 21 points. It was Mantilla’s 10 straight points in the third quarter that gave the Jaguars the lead for good enroute to their second win. Also contributing to USJR’s win were Ralph Jude Dinolan with 20 points and Victor Baldo Nuñez who had 15 points. The Cobras had Sir Shaquille Imperial and Jobanie Luz both dishing 18 points and Gerald Fernandez adding 12 points. It all, however, went for naught. The lead exchanged hands several times with the game getting deadlocked 10 times before the Jaguars managed to widen the gap in the third quarter. After tying the game thrice in the first quarter, the Cobras went on a 5-0 run to post an 11-6 advantage. However, the Jaguars weren’t going to settle for that as Juan Miguel Gastador combined with Nuñez and Mantilla to tie the game for the fourth time at 13-all and eventually going into the second canto with a one-point advantage, 25-24. Not about to give up, the Cobras managed to wrestle the lead in the second quarter and was even able to hold the Jaguars’ at bay with a 6-point advantage, 47-41, on Luz’s freebies. However, back-to-back baskets from Dinolan closed the gap to just a shot, 45-47, at the end of the first half. The third canto became the turning point for the Jaguars with Mantilla leading the charge. The Cobras tried to rally with Imperial sinking three straight treys but it wasn’t enough to rattle the Jaguars who eventually posted their highest lead at 17 points. In the junior division, Justin Jake Rosete exploded with 19 points to lead the Baby Lancers to their second straight win while Jhon Benedict Yu led the charge for the Magis Eagles with 12 points. Vhann Joshua Baruc topscored for the Dragons with 19 points. John Benedick Damolo had 19 points for the Greywolves, Marion Abinuman finished with 9 points for the Wildkittens and Winston Jay Ynot dished with 27 points for the Baby Panthers. Cabrera 8, Ubalde 7, Calang 6, Gastador 5, Navarra 2. SWU-Phinma Cobras (88) – Imperial 18, Luz 18, Fernandez 12, R. Ugsang 9, Bayhunan 8, Racho 6, Roncal 3, Molina 4, Nazareno 4, Bilao 3, Z. Ugsang 2, Polican 1. UV Baby Lancers (88) – Rosete 19, Paraldo 17, Parilla 10, Tuba-on 9, Jelianggao 7, Maglasang 7, Cometa 6, Omandac 5, Actub 4, Amistoso 2, Laurente 2. DBTC Greywolves (69) – Damolo 16, Abejo 15, Ranuco 14, Dela Tore 8, Malubay 8, Siona 2. SHS-AdC Magis Eagles (78) – JB Yu 12, Tuadles 10, Chua 9, Velasco 8, Diaz 7, Visser 7, PW Yu 7, Gesalem 3, Manaytay 3, Cutamora 2. CITU Wildkittens (55) – Abinuman 9, Trigue 9, Hermosa 8, Granada 7, Bugtai 4, Gaviola 3, Ancit 2, Ceniza 2, Tarriman 2, Hapin 1. CEC Dragons (87) – Baruc 19, Ares 15, Tempra 12, Gabutero 11, Gaid 8, Galarse 6, Labalan 5, Vallena 5. USPF Baby Panthers (77) – Ynot 27, Isabelo 16, Hernando 15, Amida 5, Maglasang 5, Arboleras 3, Montemayor 2, Oyao 2, R. Singson 2.